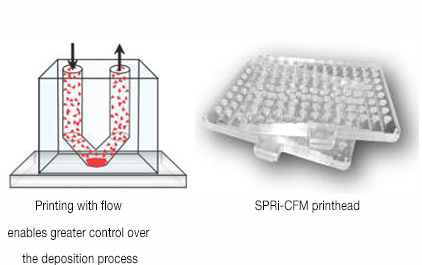 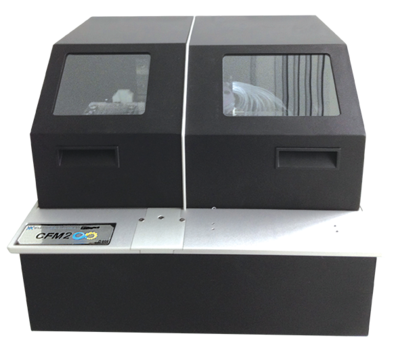 The SPRi-CFM is an automatic printer that uses flow deposition for printing biomolecules. 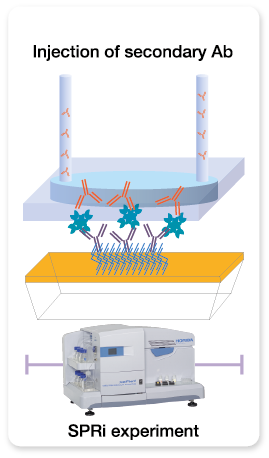 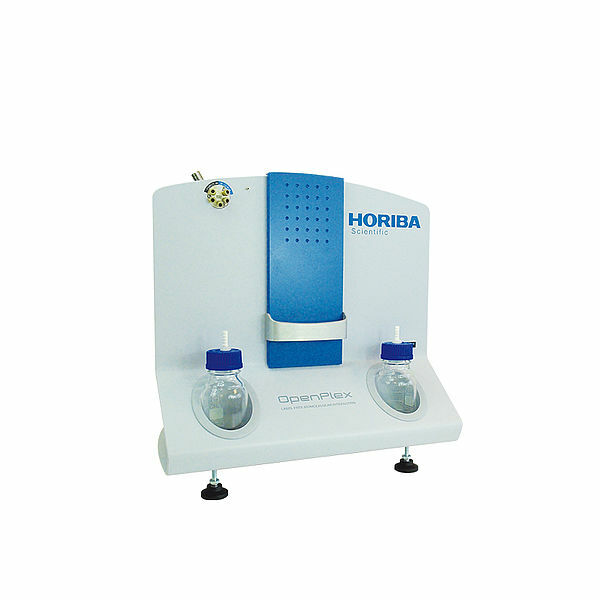 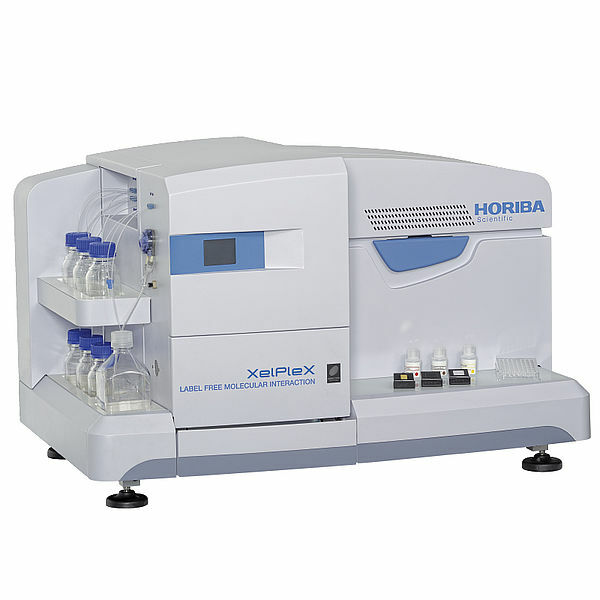 Samples are cycled over the surface and captured from solution, leading to higher biomolecule density, better spot uniformity and improved assay sensitivity. 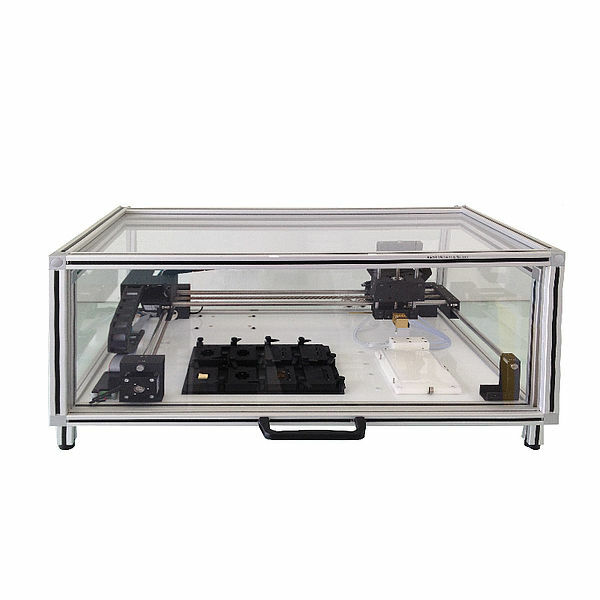 The printhead uses a three-dimensional network of microchannels that allows for the flow of solutions over a substrate area. 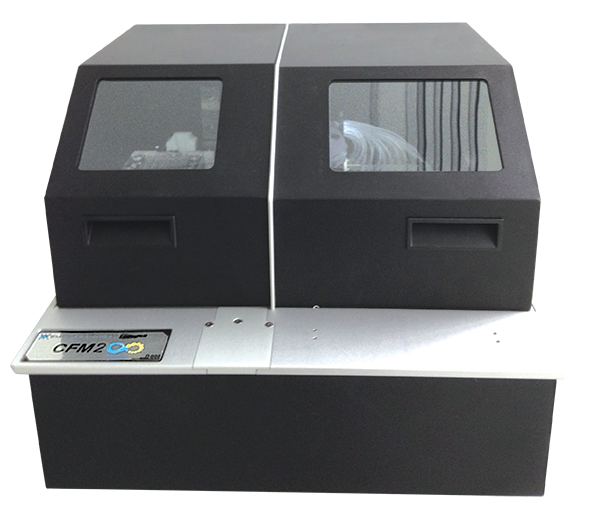 The printhead provides a seal to the substrate and confines the solution to the area of the individual spot, completely eliminating background signal and the possibility of cross-contamination.